A fun film-making course for girls and boys in school Years 6-9. 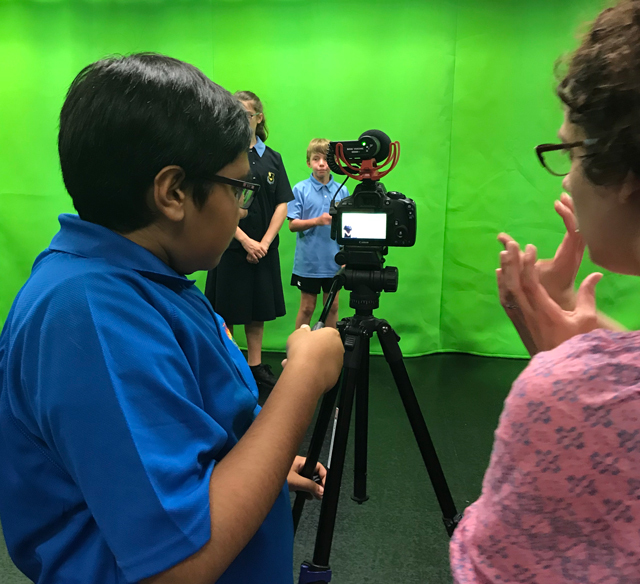 Explore the basics of filmmaking, green screen, animation and acting for the screen. We will be creating short films based on the theme of ‘Pursuing your Dream’. This immersive workshop will support students to focus on their performance skills that work best for the screen. 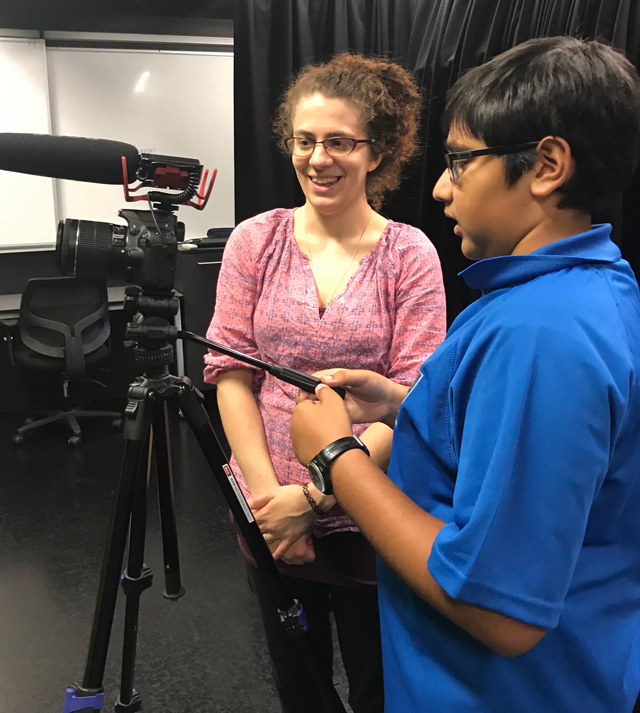 Students will be making their own films so we will also be focusing on film production processes, technical skills, directing and editing. This five-day workshop will culminate in a presentation of short films. Start the holidays armed with some filmmaking skills so you can get out there and create your own. Jo Rogers and Jess Weichler and other guest tutors from the industry. This course is now FULL. No more enrolments are being accepted sorry. 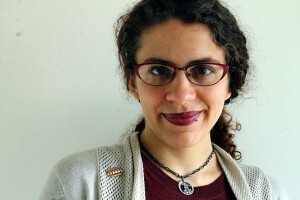 Jess Weichler is a media arts educator at the MakerBox. Ever since childhood she has been creating digital worlds through game design. Aside from a few lessons learnt from her 8-year old students, she is self-taught in the Scratch programming language, the Processing java subset, and a robotic Hummingbird micro-controller. She has taught these skills since 2012, and her courses are still in use both locally and abroad in the United States. Jo Rogers has vast experience in using various mediums such as screen and theatre to encourage and develop an understanding of real world issues. Jo has worked as a project director and artistic manager on various events as well as tutoring and lecturing in Tertiary Education. 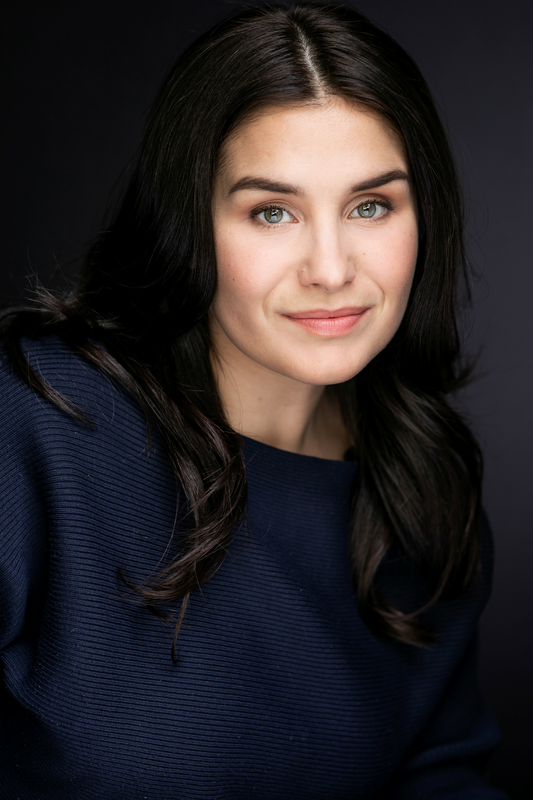 She has been involved in short films, television, theatre and musical productions bringing a wealth of knowledge and experience to her classes. Recently her work has included directing the stage show of Disney’s The Lion King involving 420 primary and intermediate school students. Prior to that she directed Disney’s Jungle Book in which both were very successful. Jo Rogers is a trained teacher and has studied environmental and human science at university; she attended the Performing Arts School in Auckland in the early 90s. Whether you want to be a movie star, change the world, develop confidence or just have fun, the opportunity of being involved in challenging theatre and screen workshops, exploring various acting techniques, performance skills and improvisation, will encourage and stimulate your intellect and creativity.